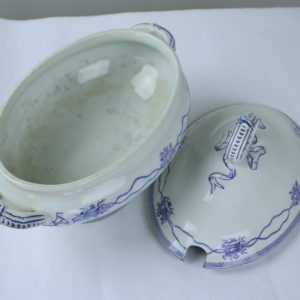 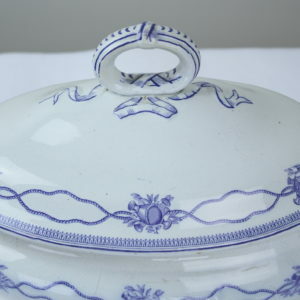 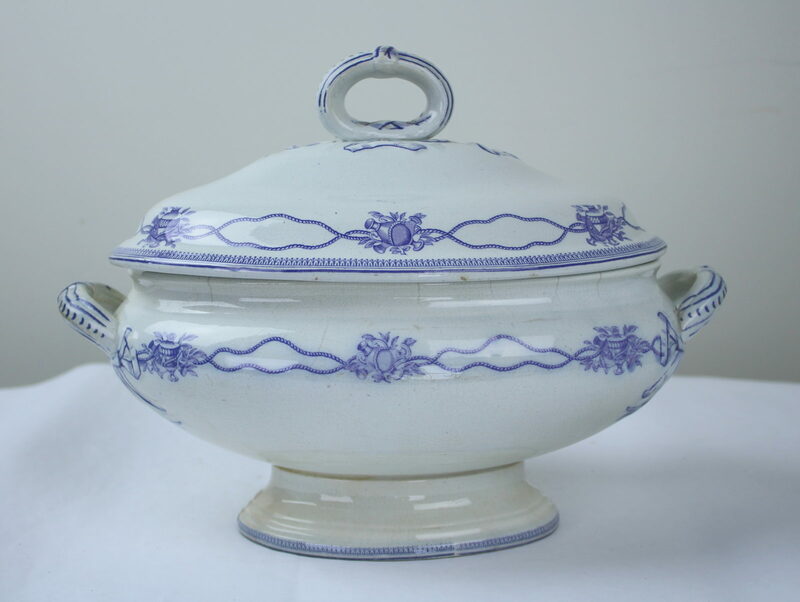 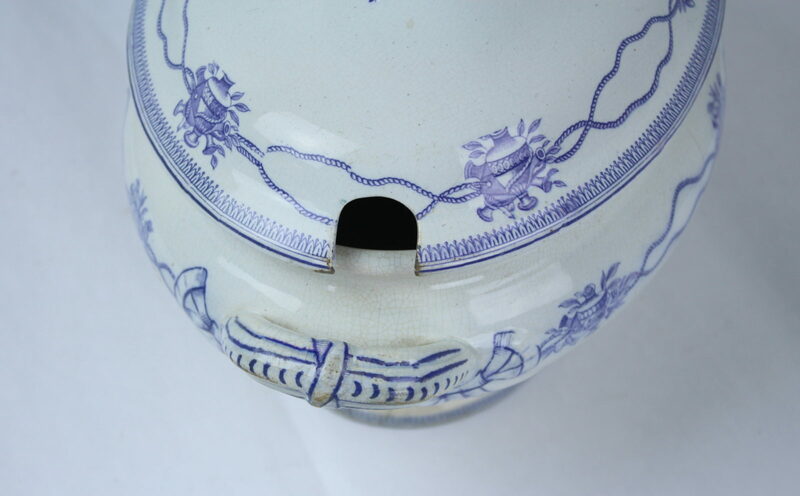 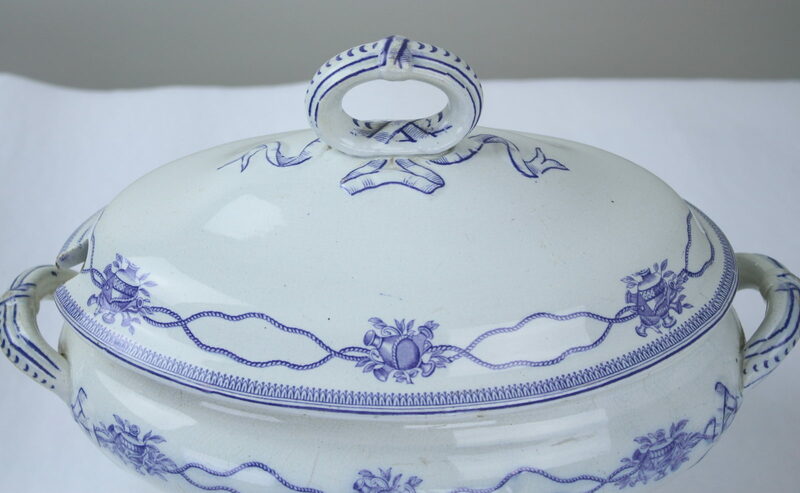 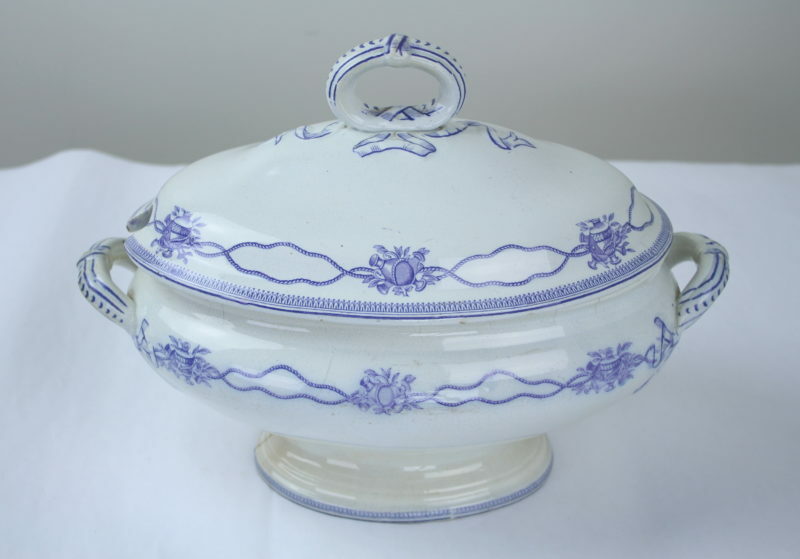 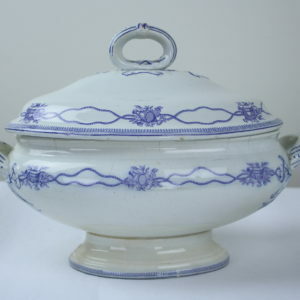 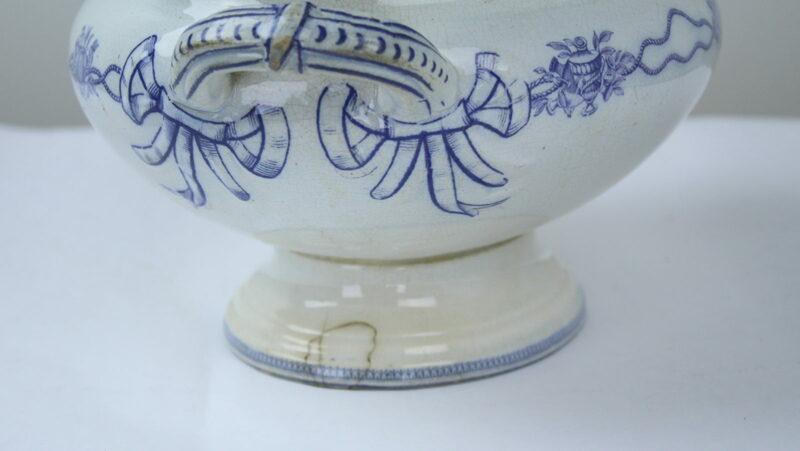 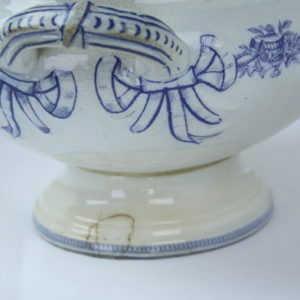 A mid-19th century pottery soup tureen with a blue ribbon pattern and looped handle. 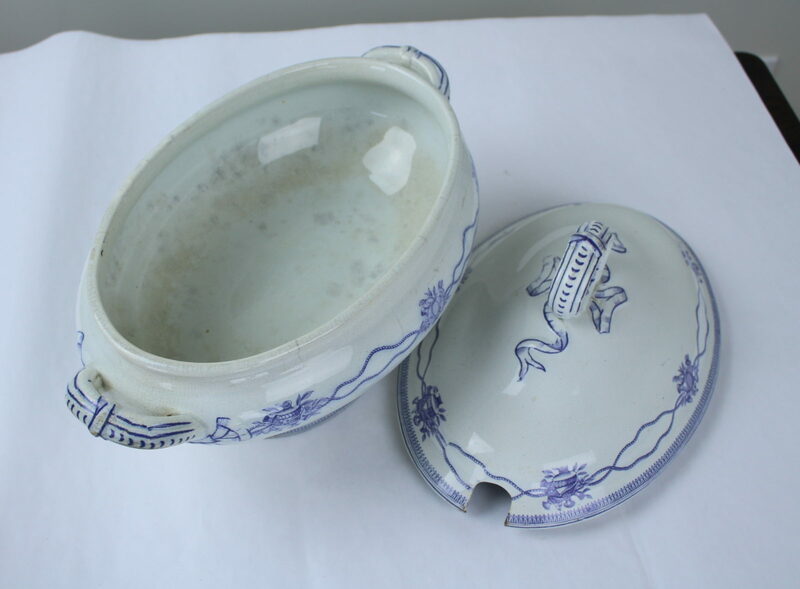 Highly decorative, but sadly without its original ladle. 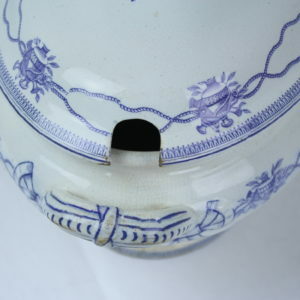 There is a “7” stamped on the underside of the lid.